Last week, we had the pleasure of inaugurating the Family Sustainability Stay - a new offering from Chris and Ashirah Knapp at Koviashuvik Local Living School in Temple, Maine. 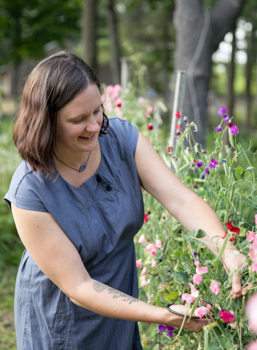 A kind of living and learning retreat, the program offers families a hands-on and fully-immersed experience on the lovingly-tended piece of land they make their Home. You can read more about the program on their website. It's been several years now since we began gathering with other homeschooling families to learn from the folks at Koviashuvik. In that time, there have been countless foraging adventures, bows made, wigwams and debris shelters constructed, sap boiled, baskets woven, animals tracked, deerhides stretched, necklaces made, and on and on. Traditional folk arts, sustainability skills, and a connection to the Earth and each other nurtured all along the way. As our family (and theirs) has grown, and we've moved even closer to them, they've grown to be both mentors and friends to us on our own homesteading journey towards more sustainability. There is something so helpful and handy about the piles of books on our bookshelves giving us all sorts of informations on which "weeds" are edible and just how to check the beehives for mites or exactly how hummanure works. And then there is the beautiful sea of connection to be found virtually through blogs and forums of like-minded folk reaching out to each other and sharing tales and knowledge. But oh, there is nothing quite like working alongside someone in their (gorgeous!) garden, talking pests and plants and children and life. This kind of real, tangible, hands-on living and skill-sharing is the kind of learning that feels whole and full - and sinks into your bones and soul in a way that only doing can. Before our arrival for the Family Sustainability Stay, we worked together with Chris and Ashirah to craft our days there in a way that worked best for all - some old favorites of our time together (bows and arrows for the boys! ), and some new things we wanted to learn (my love is now a scything fool!). In between, we gathered and shared meals together, worked on little projects here and there, and got caught up on all the latest happenings at Koviashuvik since our last visit (oh, how I do love that icehouse!). We did this all with lots of time for quiet wandering and reflection, and in the flow of two families sharing our days together - with seven children between us. There was time and space made for all ages and abilities to participate, learn and explore...and that's exactly what we all did in a meaningful way. Chris and Ashirah's deep respect for the Earth, and their efforts in resourcefulness and self-sustainability is both admirable and inspiring. Arriving home from time spent with them, we are always eager to incorporate something new - large or small - into our own days and lives. For that, I am grateful to those teachers, friends and mentors who open their homes and hearts, and so willingly share their knowledge with our family and yours, wherever we may be on our own path - be it a forty-three year old scything for the first time, or a four year old thrilled to know and identify wood sorrel all on his own. These interactions, these skills, are the very things that quiet our minds, preserve our Earth's resources, and ultimately bring us all closer to each other.